Several years ago, I participated in Orton-Gillingham training hoping to gain some insight as to how to REALLY help struggling kids learn to read. Through each day of training, I was struck with the same overwhelming feeling…why didn’t I know this sooner? It would have been so helpful to have been taught these concepts as a child – I was a terrible speller! It would have been helpful to have known these concepts as a young teacher trying to help emergent readers in a public school classroom. It would have been helpful to have had this information as a mom trying to support my own two boys on their paths to literacy. I am certain that there are grandparents, homeschool families, volunteer tutors, and even adult nonreaders that would really appreciate having a book that helps emergent readers make critical connections. 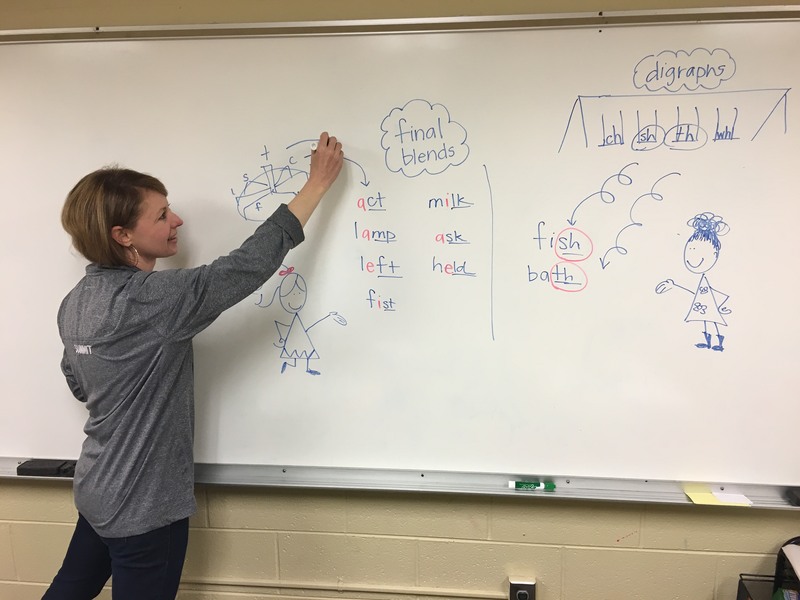 I developed Miss Letterly’s playground adventures while making daily lesson plans for my early elementary language students at Triad Academy, a division of Summit School in Winston-Salem, North Carolina. Desperate to make dry language concepts meaningful and memorable, I created fictional stories set on the playground of Sunshine Elementary. My students were thrilled to be able to think about the playground while learning how to read and spell. The playground scene became a helpful memory tool and provided continuity as we quickly reviewed old concepts before hearing the next adventure. With each lesson, we were solidifying previously learned concepts and spiraling through our Orton- Gillingham based scope and sequence. Readers can identify with simple emotions and relationships between letters as they absorb critical concepts supporting their emerging decoding and encoding skills. This book helps teach children (and even adults) how to read. It is designed to be read aloud by a teacher or adult, supporting the learner as they work through concepts and word groups. Each page layout takes time for the learner to process and practice. While Miss Letterly is written to support dyslexic students, EVERY learner will benefit from developing an understanding of these language concepts. It is my deepest hope that Miss Letterly can help support families, teachers and all types of learners in a loving way as they embark on their path to literacy. 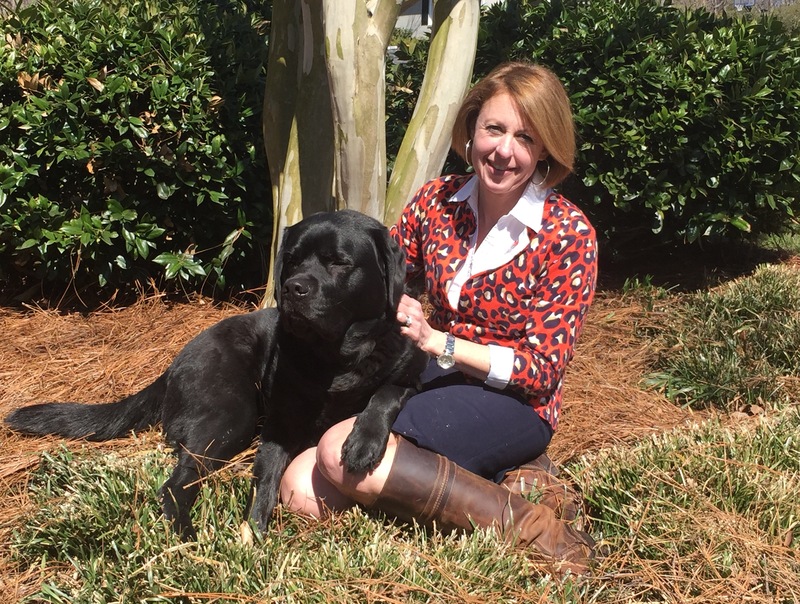 After graduating from the University of North Carolina at Chapel Hill with a degree in Elementary Education, Alyssa Hubbard returned to her hometown of Winston-Salem, NC to teach in the public school system. Once she became a mother, Alyssa stayed at home for several years to raise her boys while actively volunteering at their school and in the community. By the time she had completed a year as PTA president, she was ready to get back into teaching with a renewed passion to help struggling students learn how to read. Alyssa was trained in the Orton-Gillingham Approach at Triad Academy, a division of Summit School. Triad Academy is a nationally accredited program for students with dyslexia.